Machines are the core part of any modern manufacturing plant. Industries rely on robots and other associated equipment for automation of labor-intensive processes. It is a point to consider that if machines are able to change the shape or size of any material, then they can similarly inflict considerable damage to human operators nearby. OSHA has clearly stated the need for safeguarding any machine part, function or process that may cause any injury. 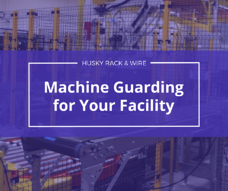 When done properly, machine guarding can bring in several advantages into the workplace. Through ensuring safety within the workplace, the industry would be indirectly able to improve its productivity and efficiency. A simple instance would be the morale of employees who would be more focused about getting the job done, rather than their own lives. A direct impact of injuries is reduced downtime as well as insurance bills, which only brings down the revenues of a company. In order to prevent any potential damage from lack of machine guarding, operators often close up physical spaces. Installation of machine guarding equipment would eliminate any such needs, opening-up physical spaces which would be better off contributing to the overall performance of the industry. Operating since 1964, Husky Rack & Wire is one of the most-reputed manufacturers of machine guarding equipment. Husky’s guarding is the most comprehensive form of protection from machinery induced accidents. 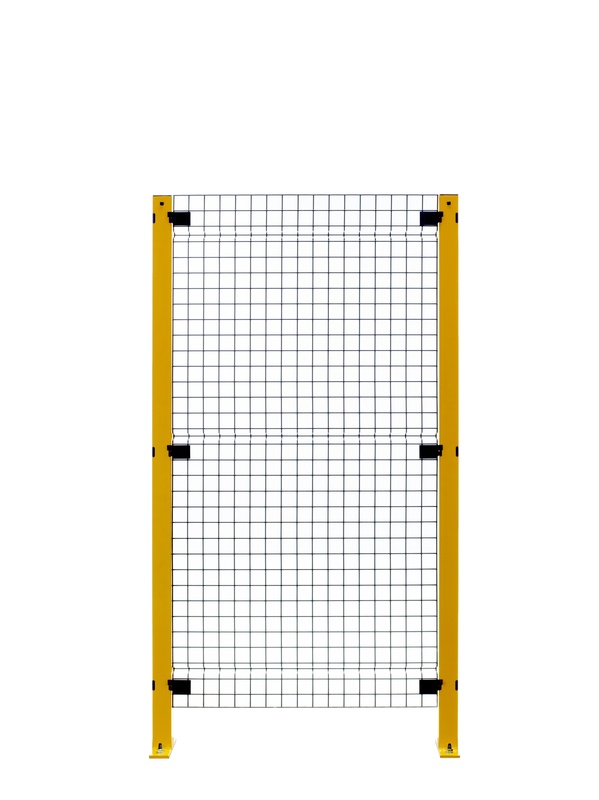 The guarding is available in two standard panel heights, 6ft. or 8ft., with custom heights also available for more specific purposes. Husky offers non-progressive panels which effectively allows panels to stack-up on top of each other without disturbing the existing arrangement. The posts are offered in four styles: swing door, tunnel door, liner corner and adjustable corner (depending on the situation). Bolt-on clips are available for shortening the stock panels. The procedure is simple; once the panel has been cut, replacing the welded clip with two-piece bolt-on clip would do the trick. The XGBC kit contains 3 left and 3 right hand clips and can easily be used to modify both upper and lower panels. Finally swing doors are provided to ensure safe and easy access to the enclosed area, available in both 6 and 8 foot heights. Standard handle and slide bolt latches are available for the doors so that workers would be able to operate them without wasting any time.